Our judges are pictured below, and more from the event can be seen at WAFB.com. 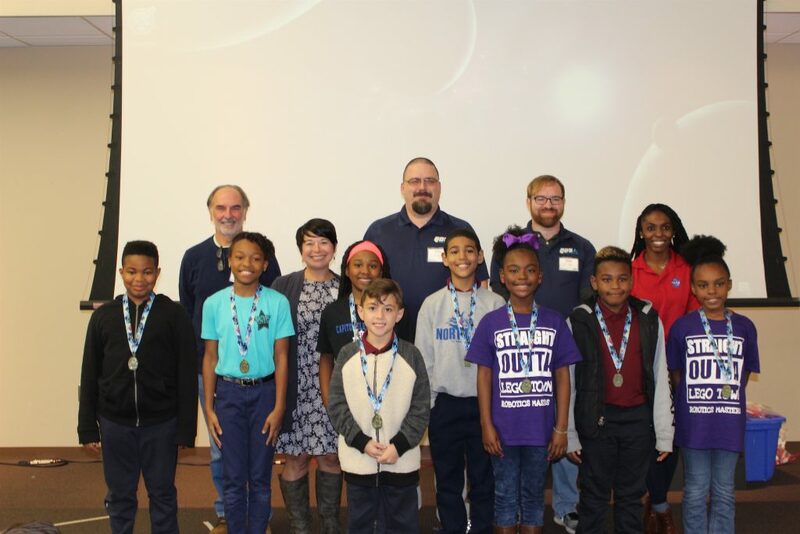 December, 2018 — The Foundation for East Baton Rouge School System and QDS Systems are pleased to sponsor the FIRST® LEGO® League Jr Expo “Let’s Geaux to the Moon” for participating East Baton Rouge Parish School System’s elementary robotics students. Each year, FIRST LEGO League Junior presents a new and exciting challenge to ignite the creativity of children age 6 to 10. During this year’s three-month Mission Moon challenge, 18 teams of EBRPSS fourth grade students learned about the moon and explored what kinds of problems they would need to solve in order to live there. Exploration of the theme was done with an exclusive LEGO® Education kit. Using this model as a starting point, teams designed a new model of their own – learning basic engineering and programming skills and applying those concepts to make their model move. During the Expo, each team will demonstrate their robotic model solution and share their learning experience via a “Show Me Poster.” Throughout their experience, teams operate under the FIRST® Core Values, celebrating discovery, teamwork, and Gracious Professionalism®. “FIRST LEGO League challenges, such as this year’s Mission Moon, inspires kids to think like scientists and engineers. Beyond basic knowledge, students learn to take initiative and responsibility, solve problems, and communicate ideas – all skills needed in today’s workplace. In addition, students interact with adults, businesses and organizations, and their community, all of which contribute to interest in STEM careers. In addition to networking with their peers, students will learn about the multitude of career options related to the aerospace industry from Breanna Fortenberry, a representative from NASA’s Office for STEM Engagement (Stennis Space Center), and interact with numerous volunteers throughout the STEM community representing such companies such as Sparkhound, QDS Systems, and LSU. QDS Systems is an Engineering Firm & Systems Integrator with a Collaborative Robotic product line featuring an overall systems engineering/design capability, turnkey robotic cell capability, and long-term service support. With more than 25 years in process control and drive system integration, QDS Systems is a one-stop-shop for control system design, engineering, and implementation of automation and engineering drive solutions. Recognized as a CSIA Certified Integrator in Louisiana since 2003, QDS demonstrates a long-term commitment to quality and longevity in the industry. Gen Ready is a regional collaborative that cultivates and supports work to improve access to high-quality STEM learning for all learners. Initiated through the Foundation for East Baton Rouge School System’s grant from ExxonMobil in 2017, Gen Ready empowers communities to bring together cross-sector partners and create systemic change to ensure more students- particularly underserved and underrepresented students- develop the STEM knowledge and skills they need to learn and thrive in today’s world. Stan Prutz talks automation solutions and the need for continuous investment and improvement in snack and bakery facilities in the November issue of Snack Food & Wholesale Bakery. Baton Rouge, LA (November 13, 2018)—QDS Systems, a collaborative robotic systems integrator with more than 25 years in process control and engineered drive solutions, today announced that its President and CEO, Stan Prutz, will join Baton Rouge area business leaders as they share their expertise with local entrepreneurs attending Baton Rouge Entrepreneurship Week (BREW) this November. Held at the Louisiana Emerging Technology Center, BREW is a celebration and conversation about growth and innovation happening in the region, with a series of events, panels, and keynotes designed to help the entrepreneurs of the capital area enhance and grow their businesses. Prutz will join the panel, BR is Better than You Think, which will be held on Wednesday, November 14 at 11:15 a.m. Joining him on the panel will be Gus Murillo, COO of Three Sixty Eight, Stephanie Hartman, Director, Small Business Services at Louisiana Economic Development, David Facey, CEO and Founder of SellSwipe and Eric Porter, Economic Development Consultant Southern University. The panel will focus on sharing Baton Rouge’s best resources for entrepreneurs. For more information about the panel and BREW, visit the conference website. BATON ROUGE, LA October 31, 2018—QDS Systems, a collaborative robotic systems integrator with more than 25 years in process control and drive system integration, today announced the hiring of Randy Serwan as sales manager. Serwan brings extensive sales expertise practiced across a variety of industrial service companies and product-driven organizations. In his new role, Serwan is charged with building and growing the sales team in order to support the continued growth of QDS into new markets and industries. Serwan’s experience encompasses sales management as well as strategic account management and contract negotiation. 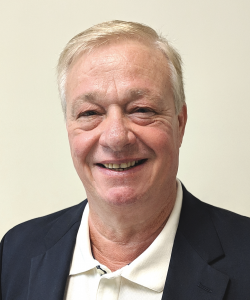 Prior to joining QDS, he served as a Sales Manager for Rain for Rent, a leading provider of temporary liquid handling solutions for projects ranging from flood relief to construction site dewatering, sewer bypasses and industrial plant turnarounds. Serwan also served as an area manager for Rust Specialty Chemicals and Betz Industrial. In addition to his sales roles, Serwan is a current member of the Process Cooling Technology Institute (CTI) as well as the National Petroleum Refiners Association (NPRA), Pulp & Paper Association (TAPPI), the Louisiana Chemical Industry Association (LCIA), and adviser for the PEERS / IBBC Paper Industry. For more information about QDS Systems, visit http://qdssystems.com. Our President & CEO, Stan Prutz, sat down with the team at Snack Food & Wholesale Bakery to talk about the future of robotics innovations in the industry. Hint: Cobots will offer a helping hand. Read the full article online: https://www.snackandbakery.com/articles/91991-robotics-improve-snack-and-bakery-packaging-operations. Baton Rouge, LA (September 14, 2018)—QDS Systems, a collaborative robotic systems integrator with more than 25 years in process control and drive system integration, today announced that its President and CEO, Stan Prutz, will join robotics industry leaders to share his expertise with attendees of the RoboBusiness conference this September. Held in Santa Clara, CA, the conference gathers members of the robotics community including technology developers, executives, system integrators, engineers, manufacturers, and supply chain enterprises among many others to support the development, commercialization, and implementation of robotics. Prutz will join the panel, Robotics as a service (RAAS): Buy or Rent? How to assess a viable pricing model to create revenue opportunities, which will be held on, Wednesday, September 26 at 4:15 p.m. PST. Joining him on the panel will be Mike Oitzman, Founder and Managing Editor of Mobile Robot Guide, Preben Hjørnet, CEO, Blue Workforce, and Dave Crawley, Founder of Ubiquity Robotics. The panel will focus on how RaaS is an opportunity for businesses of all sizes to lower the risks of adoption and to diversify into new markets. Panelists will discuss topics including evaluating revenue models, understanding new revenue streams, the pros and cons of renting, how to reduce upfront costs, and what expect when working with a system provider. The conference comes on the heels of QDS Systems’ recent announcement about its new leasing and renting finance model for both its automated systems and collaborative robotics products. In partnership with the Lease Corporation of America, QDS Systems’ leasing model allows companies to rent or lease equipment from 12 to 60 months, depending on need, for as little as $500 per month with fixed monthly payments throughout the term of the lease. For more information about the panel and RoboBusiness, visit the conference website. QDS Systems is an Engineering Firm & Systems Integrator with a Collaborative Robotic product line featuring an overall systems engineering/design capability, turnkey robotic cell capability, and long-term service support. With more than 25 years in process control and drive system integration, QDS Systems is a one-stop-shop for control system design, engineering, and implementation, of variable speed and engineering drive solutions. Recognized as a CSIA Certified Integrator in Louisiana since 2003, QDS demonstrates a long-term commitment to quality and longevity in the industry.